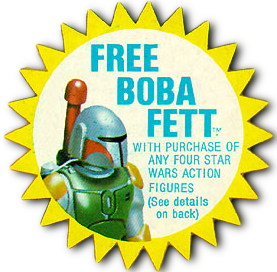 The very first figure promotion offered on cards was for the bounty hunter Boba Fett. He was first seen in the dreadful holiday special, in a cartoon during the show, and was also rumored to have a big role in The Empire Strikes Back. 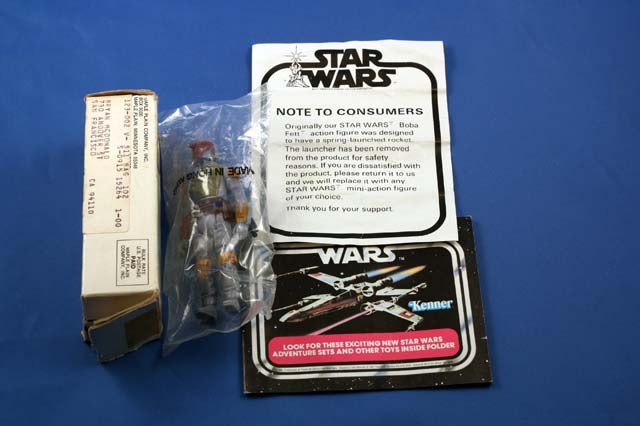 Kenner went full steam ahead with advertising the promotion on store displays, figure cards, and television. 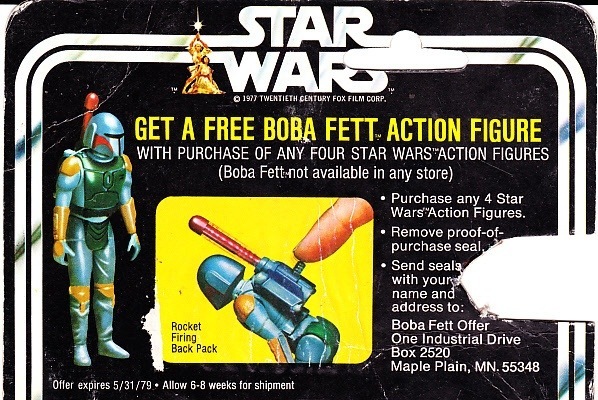 Originally, he was to have a rocket firing backpack feature and early advertising showed a mock up of the figure with the feature. However, at this same time, Mattel had a recall on similar toys, because of the death of a child. 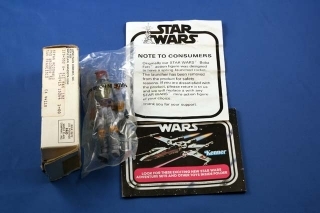 Kenner tried to keep the feature by modifying the original L shape launcher into a J that had a tab to hold the rocket in place to prevent misfires, but the tab was prone to breaking which caused another choking hazard, so it was finally scrapped. Stickers were sent out to cover up the mention of the rocket feature on all advertising. 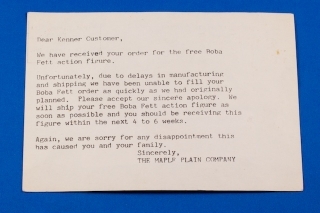 The mail away also included an apology note from Kenner stating that if you weren’t happy you could send it back for the figure of your choice. The offer was originally to go to May 31, 1979 and then was extended a year to May 31, 1980. 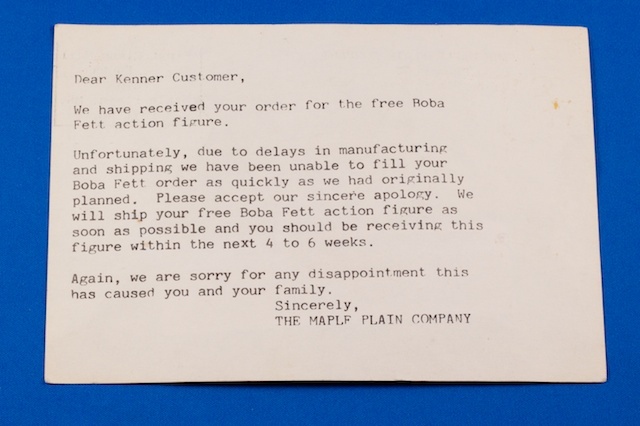 Demand for Boba Fett was so high that there were some delays for kids. 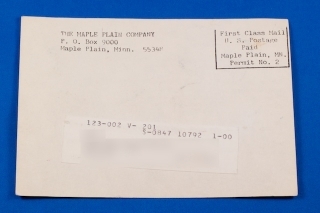 The unlucky, received one of these cards in the mail telling them that it would be an additional wait. 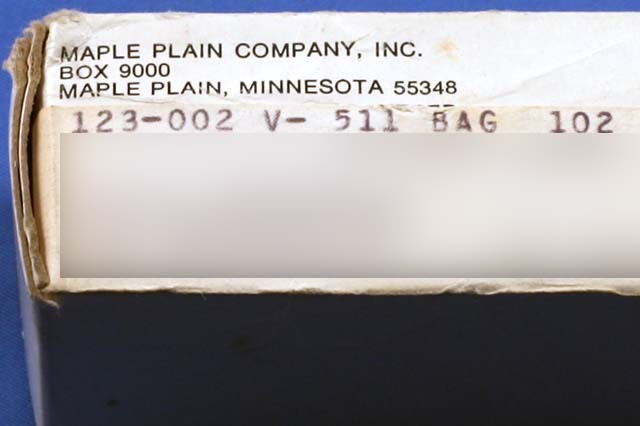 The main variations with the mailer include the baggie type and catalog included. 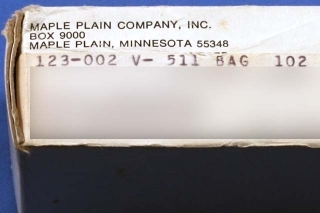 It appears that later on in the promotion, for a short time, the mailer box was changed to a brown mailer bag. The mailer bag version is the more difficult version to find. Copyright © 2013-2019 Mail-Away Guide All rights reserved.